I'm facing a big problem here. First let me show the image while explaining. 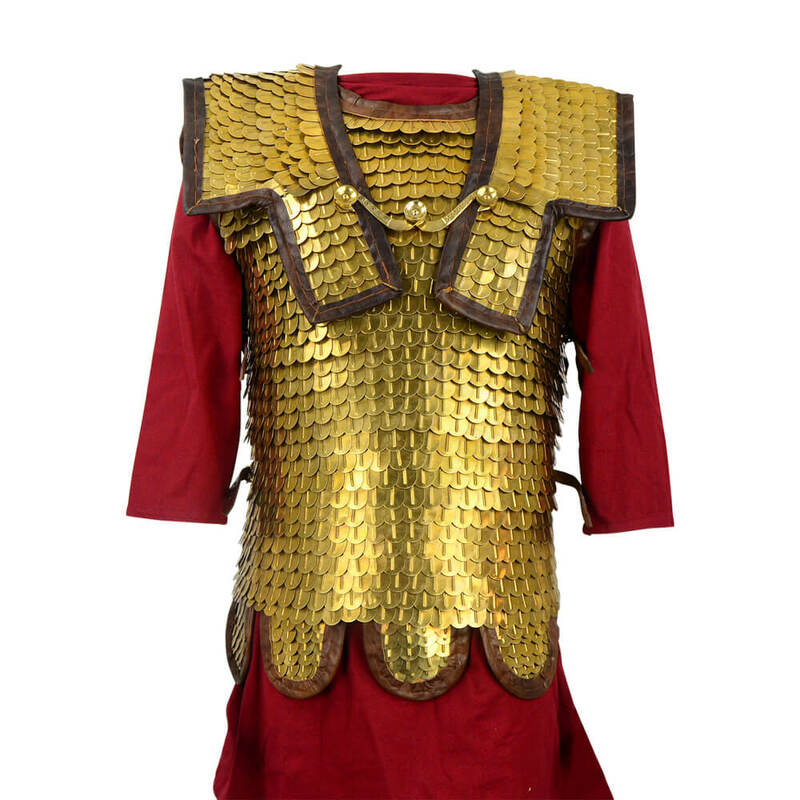 To make it clear, this is an piece of an ancient/middle age armor like the image below. In the image, you see an object (The selected one) which is the main support of the mails and at the side, I have a small object which is the scales. Like the image above, I want to put the scales into the surface of the selected object, but I can't find a solution. I have used array (Width and Lengthy) and tried it, but the position of the scales is quite bad. Tried to do it manually, one by one, but each time it went down, the scales requires to enlarge its scale. (As yo ucan see in the image, the mesh is slightly small above than below in width). Normal maps might work well, but the problem is that I want real polygons. duplicates child of object to all faces or verts; controll rotation in edit-mode of child. All Instances are the same. use Hair, advanced/face + particles/face = 1 + Render-Menue: Object and choose your DupliObject+ other settings from particle menue. This way you have all the customability from particles like random size, rotation, distribution patterns for groups of objects. Here you could instance via loops to all the faces and have all the possibility of customisation you could wish for, but you have to learn animation nodes on the other hand, so maby 2 is the right one for you for a fast solution. How to make rattan ball? How do I snap a vertex along a local axis? How to indent an object using edge loops without changing edge sharpness? 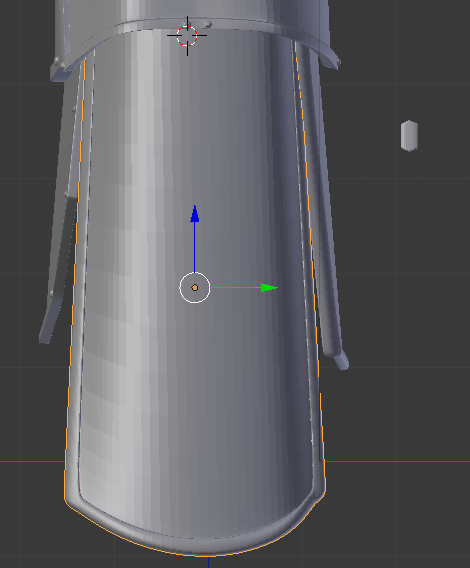 How to combine multiple hemispheres into a single smooth mesh properly? Using edge loops for sharp edges without distorting the mesh?